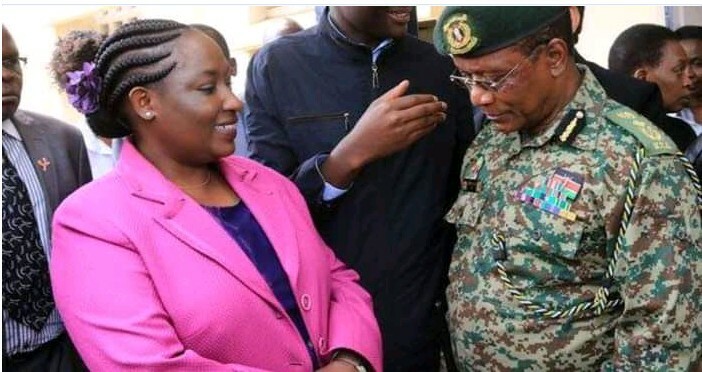 NYS Cases: Ex Youth Affairs principal secretary Lillian Mbogo Omollo has asked the High Court to unfreeze her bank account so that she can pay school fees totalling Sh. 6.6 million. Sh. 150,000 for a loan. Sh. 5.2 million for school fees. Sh. 139,800 for additional school fees for her three dependants. Sh. 219,000 for her domestic workers. Sh. 210,000 for other bills. Ms. Omollo told the court that she has not been convicted and that the directives obtained by the Assets Recovery Agency were punitive. She further told the court that she had taken a mortgage that requires servicing, and needs cash for utility bills. Ms. Omollo’s accounts at Equity Bank and Diamond Trust Bank were frozen on October 29, 2018. The freezing orders were obtained by the Assets Recovery Agency saying that it had reasonable grounds to believe that the Sh. 33 million in question was stolen from the National Youth Service. The authority currently says that Ms. Omollo is earning a monthly salary of about Sh. 340,000 which is about half of her principal secretary salary.